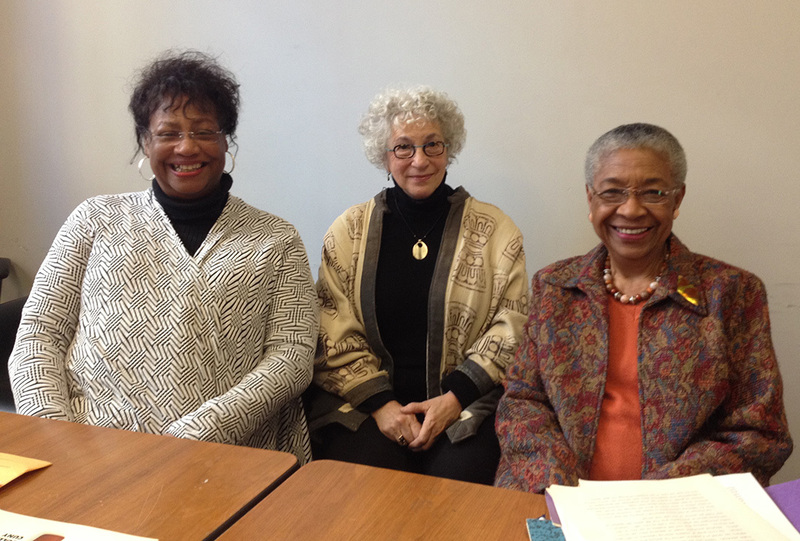 Oral history interview with Sandy Watson, Joan Greenbaum, and Fern Khan of LaGuardia Community College. The interview was conducted on January 22, 2015 at the CUNY Graduate Center by Steve Brier and Andrea Ades Vásquez. The subjects discuss the founding of the college, its mission, and the array of innovative programs developed by a young faculty. Under a progressive administration, they were given free rein to build a college that would listen to, and serve, its surrounding community. Their adult and continuing education programs served a broad range of needs and many non-traditional learners. Cite This document | CDHA, “Oral History Interview with Joan Greenbaum, Fern Khan, and Sandy Watson of LaGuardia Community College,” CUNY Digital History Archive, accessed April 25, 2019, http://cdha.cuny.edu/items/show/2331.